My name is Star. 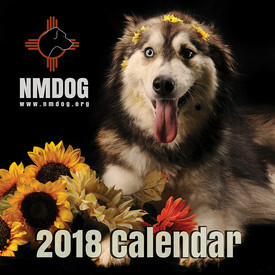 When I was at the NMDOG Rescue in Albuquerque, New Mexico, my name was "Sunday." 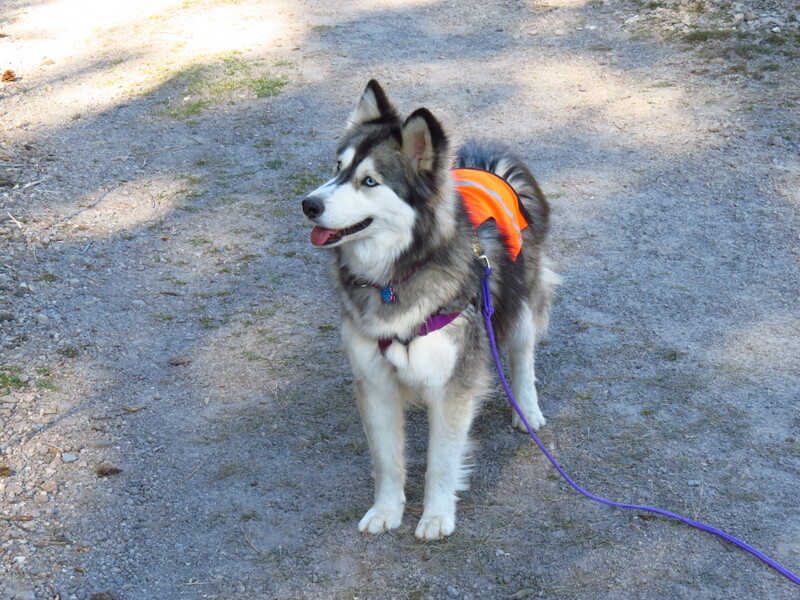 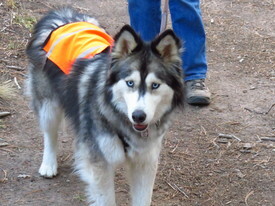 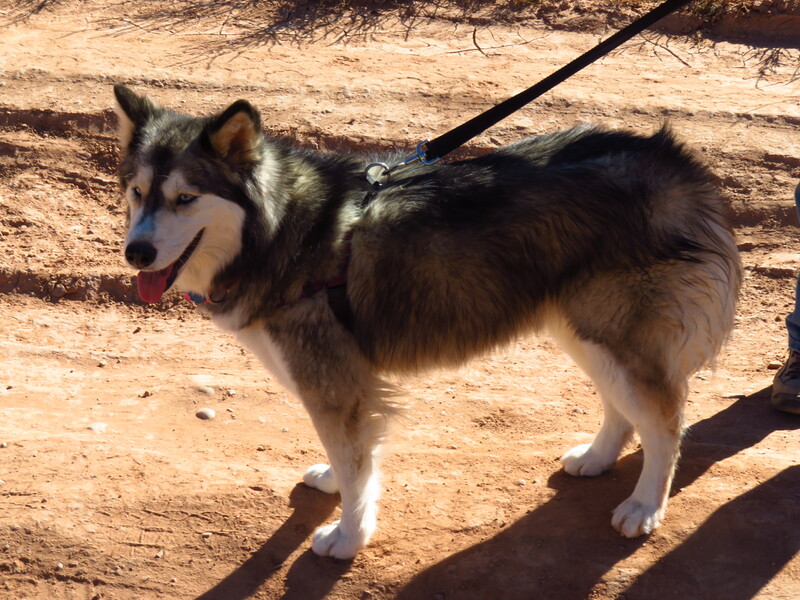 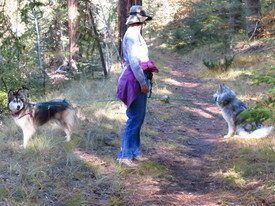 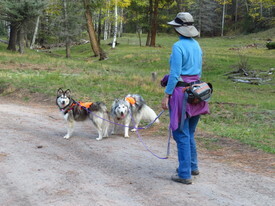 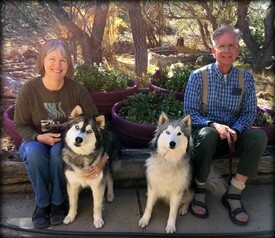 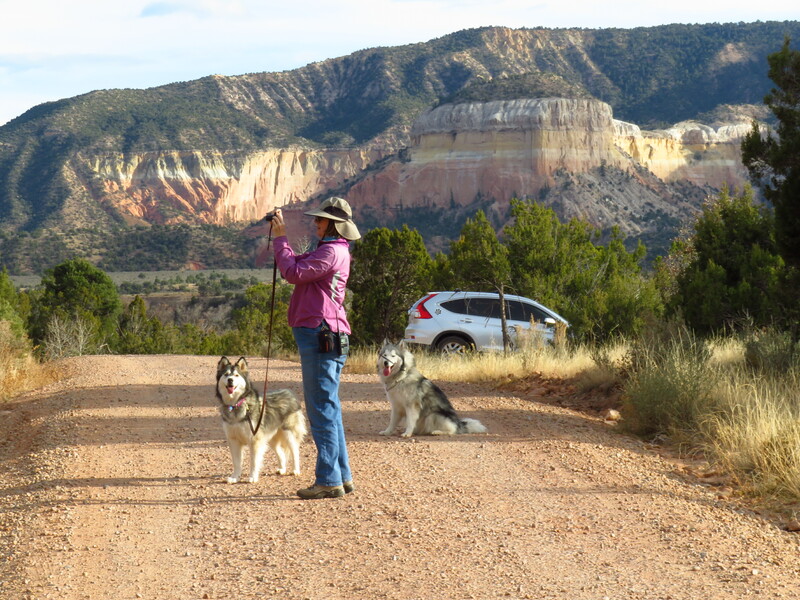 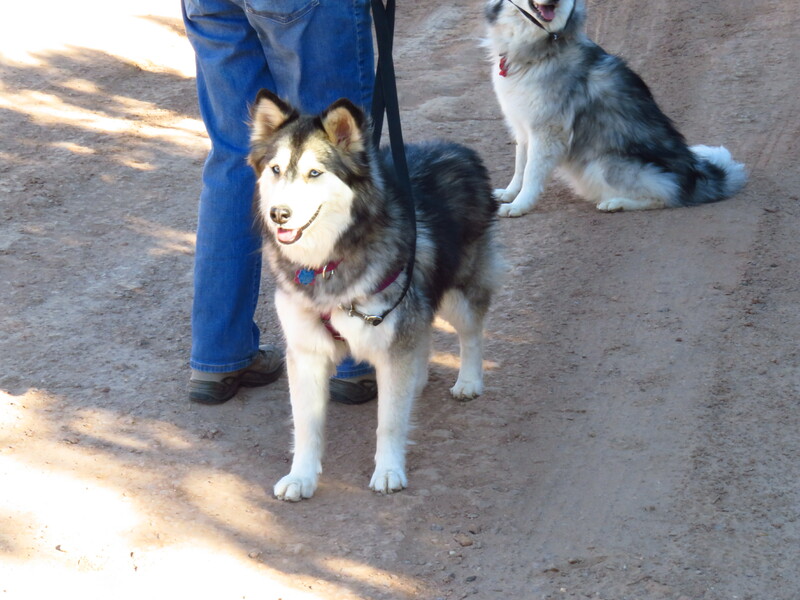 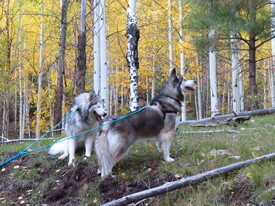 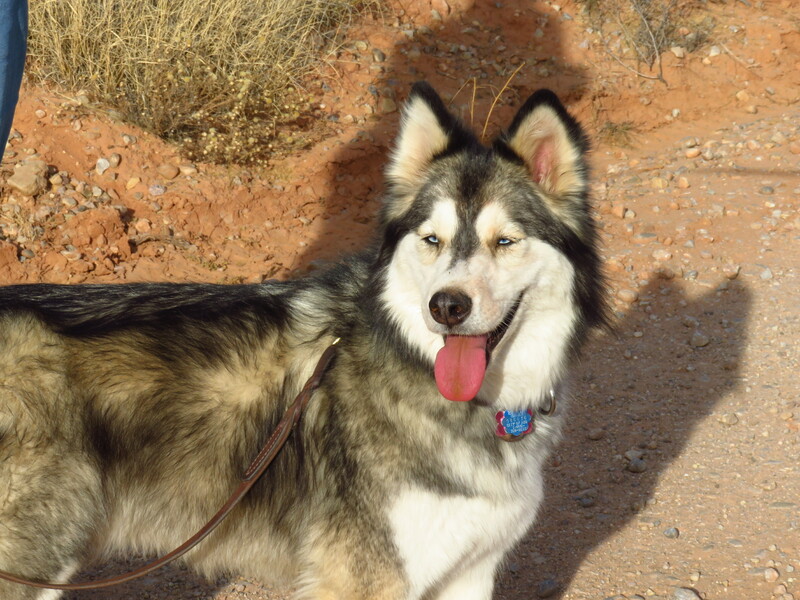 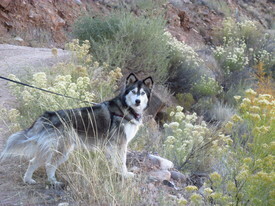 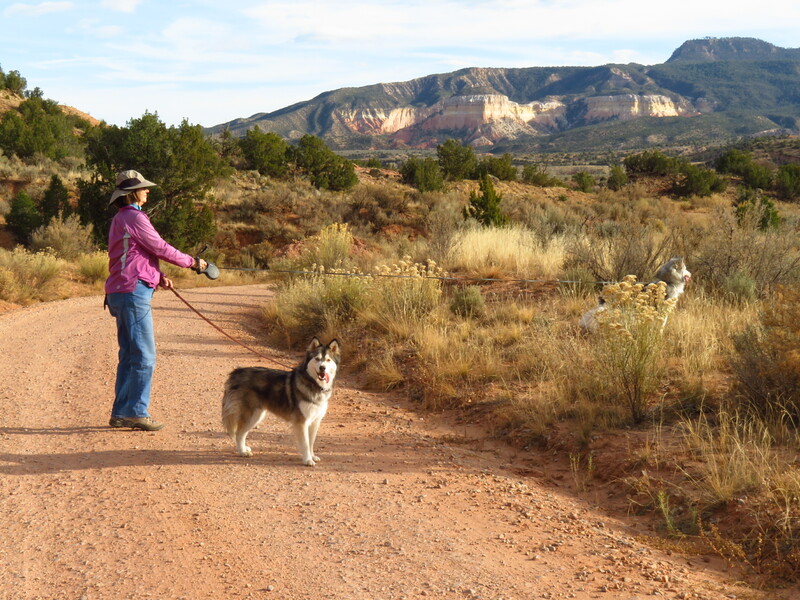 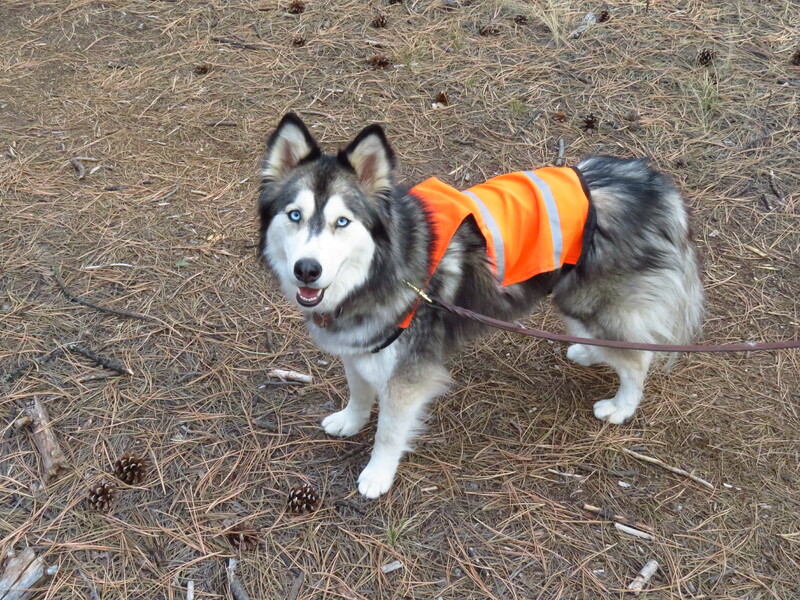 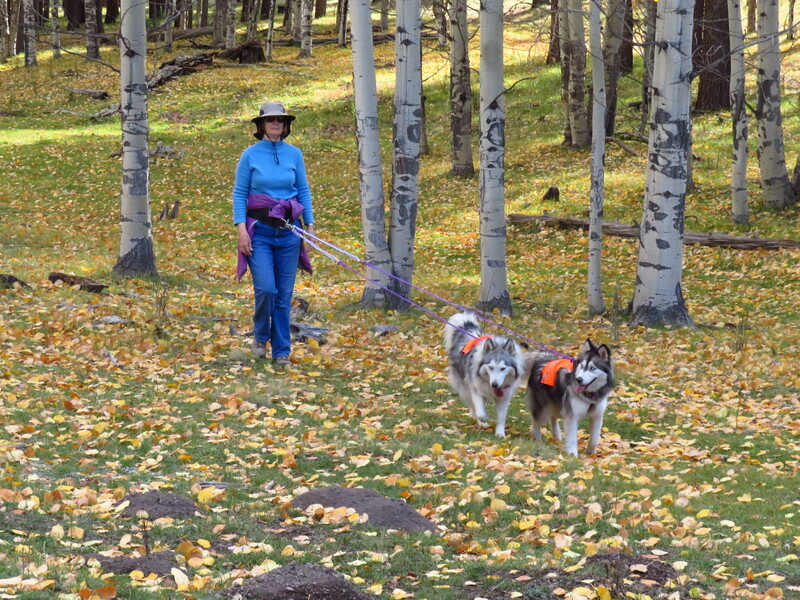 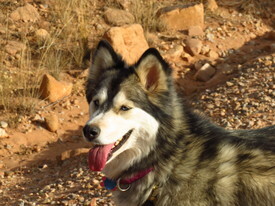 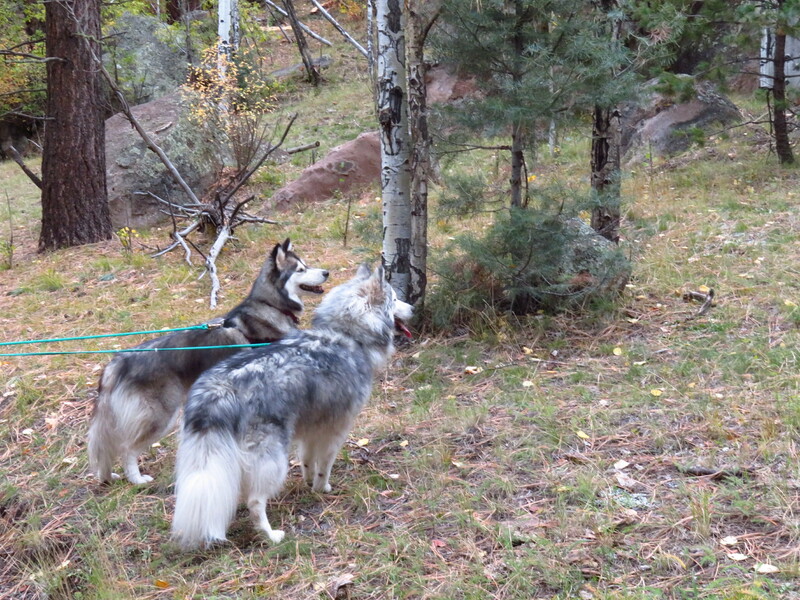 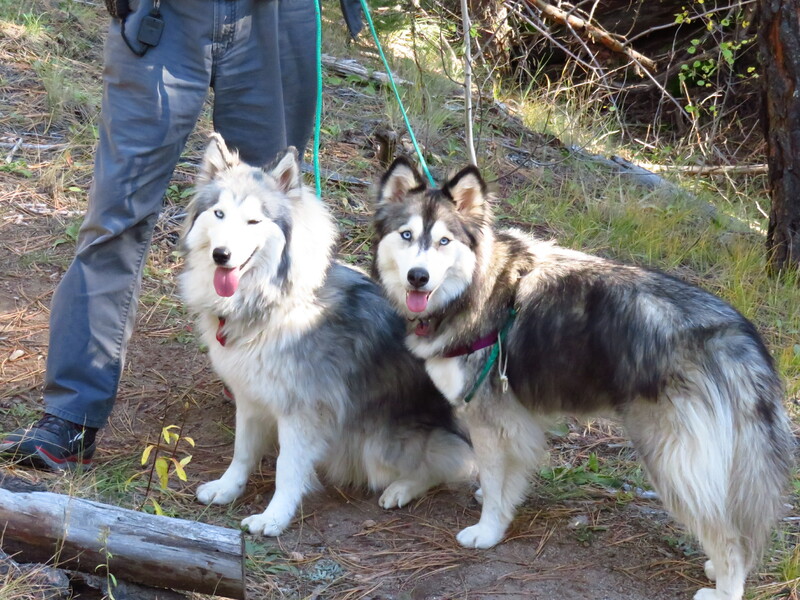 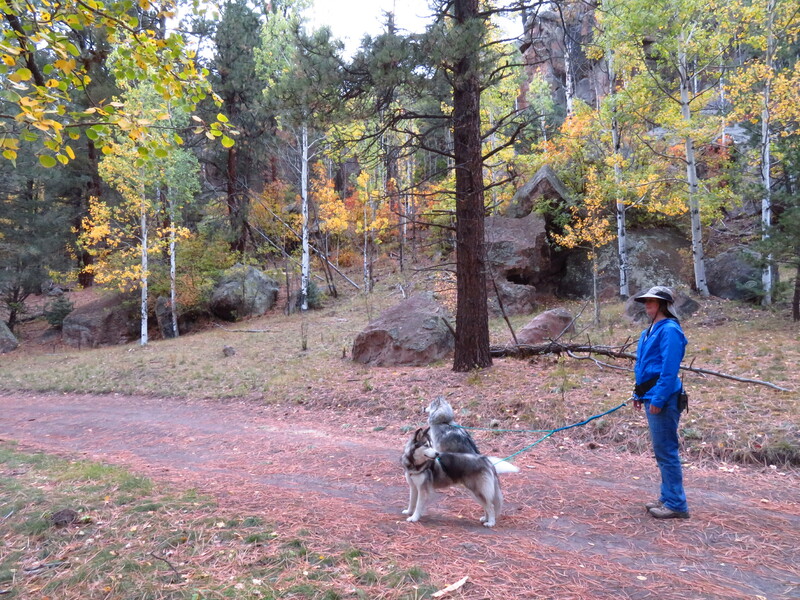 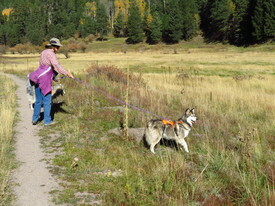 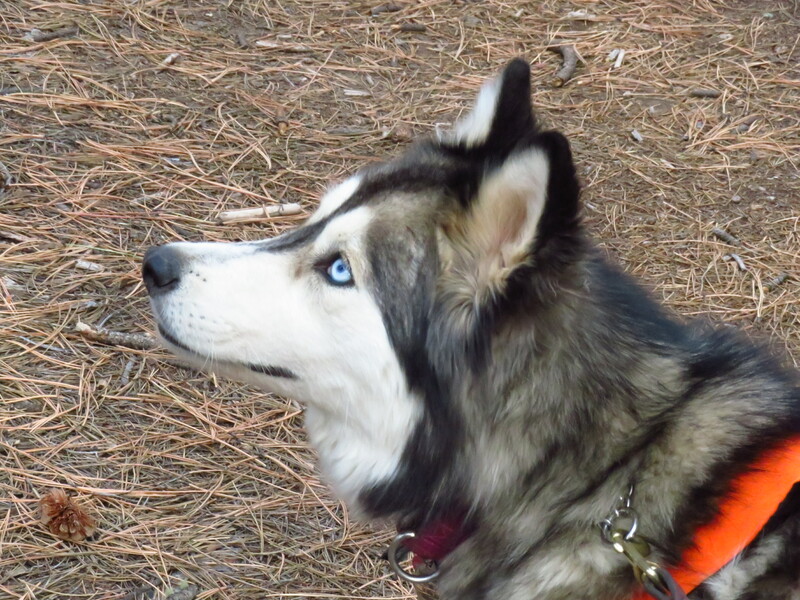 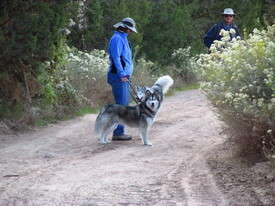 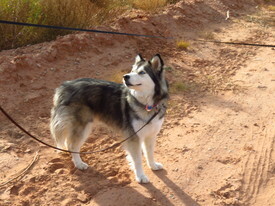 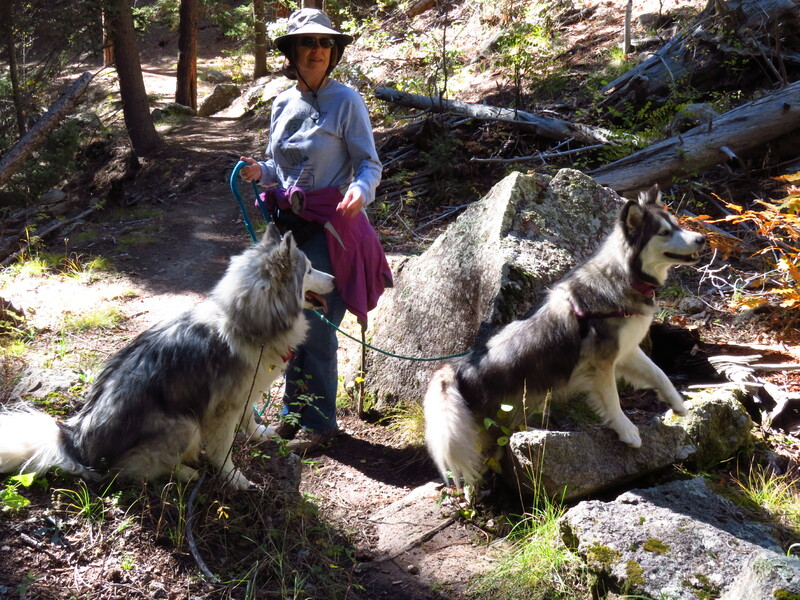 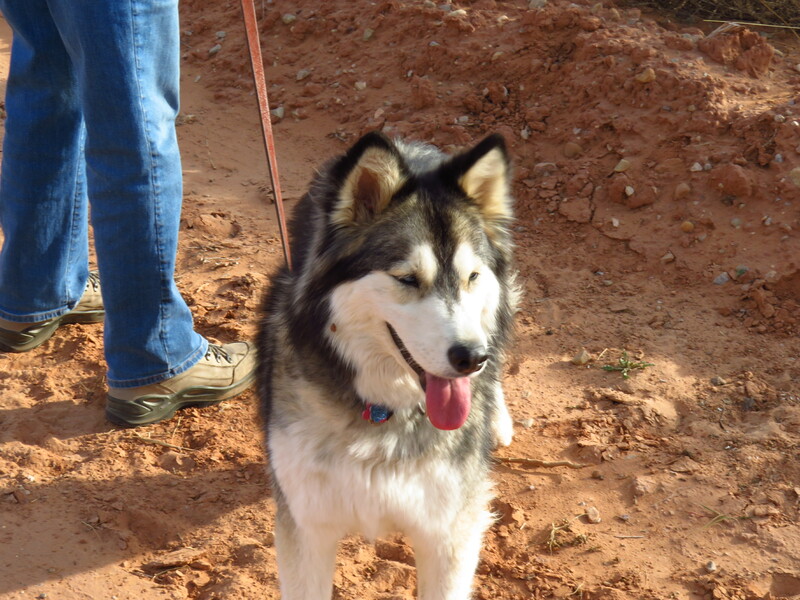 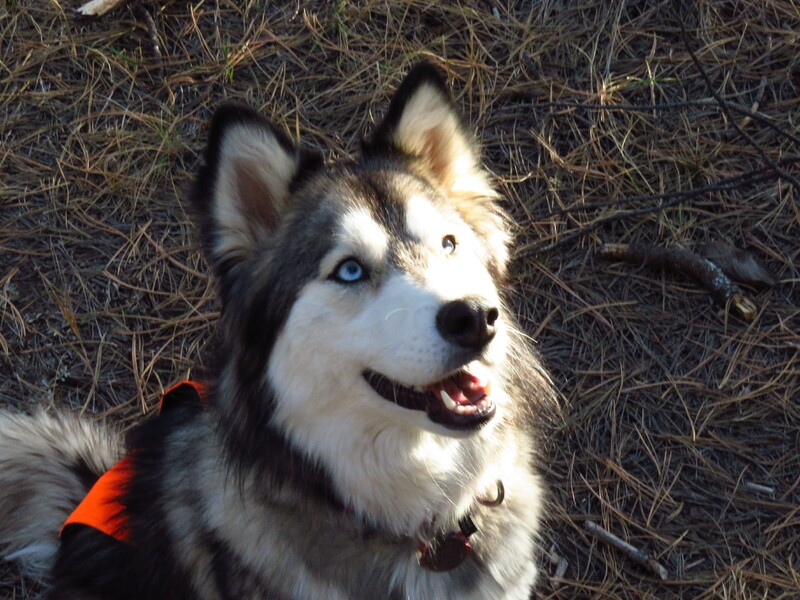 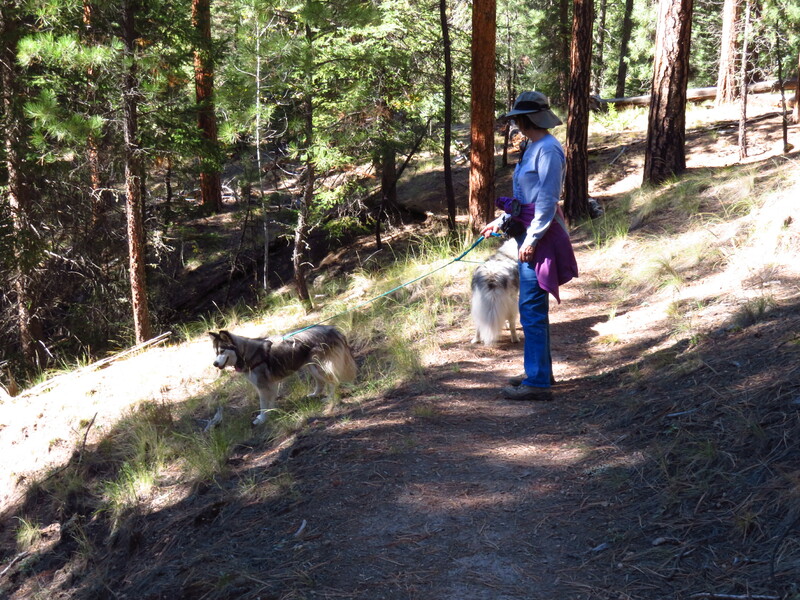 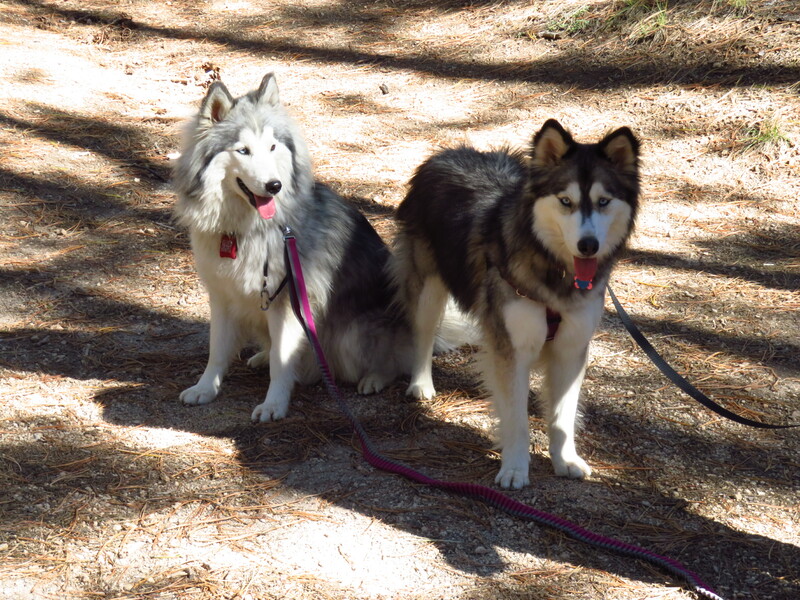 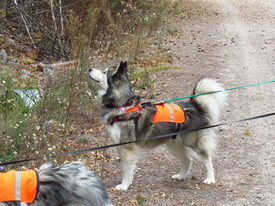 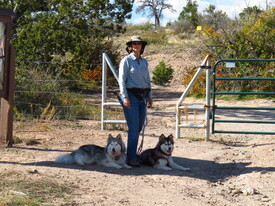 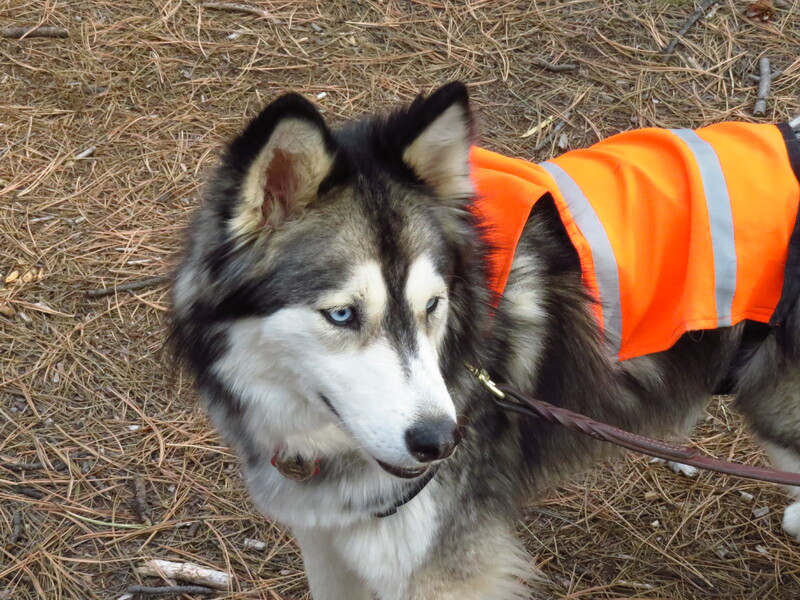 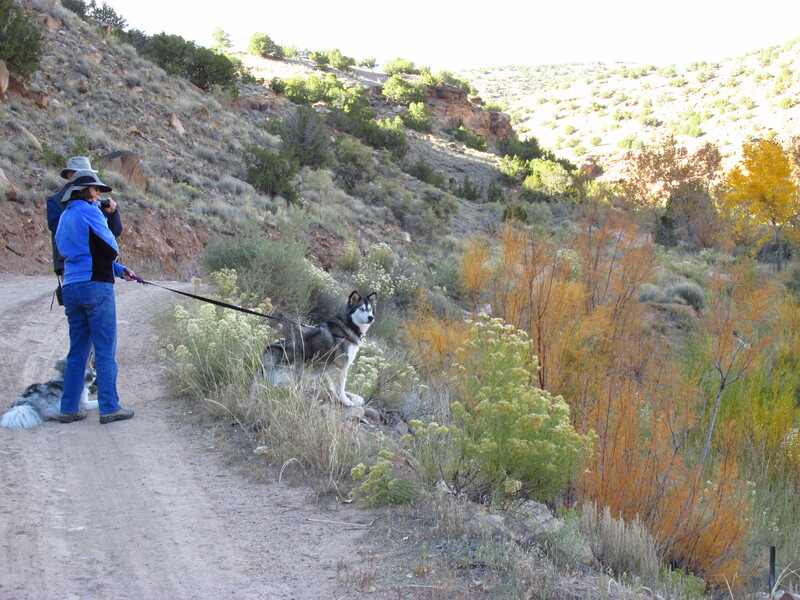 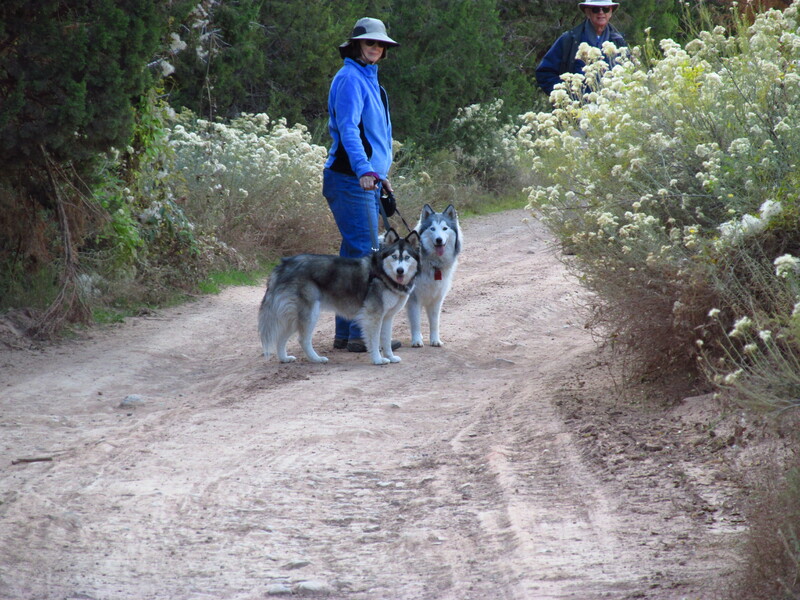 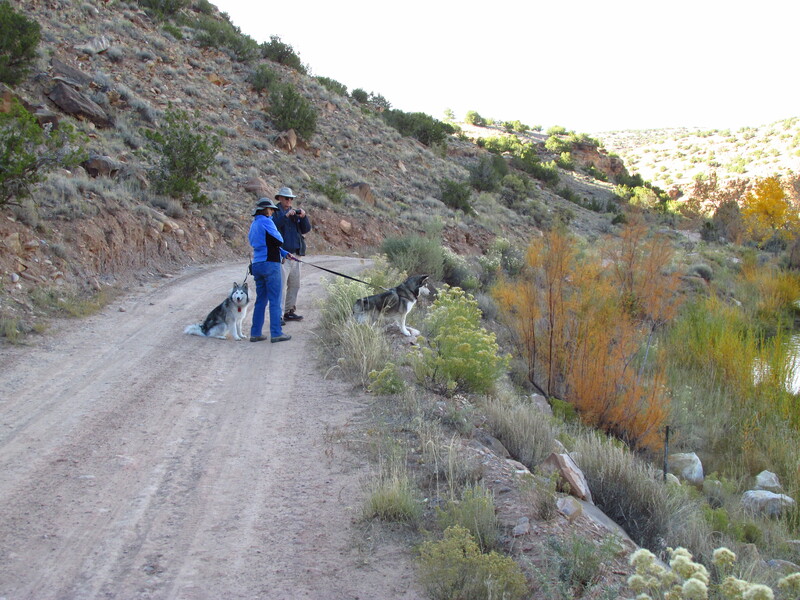 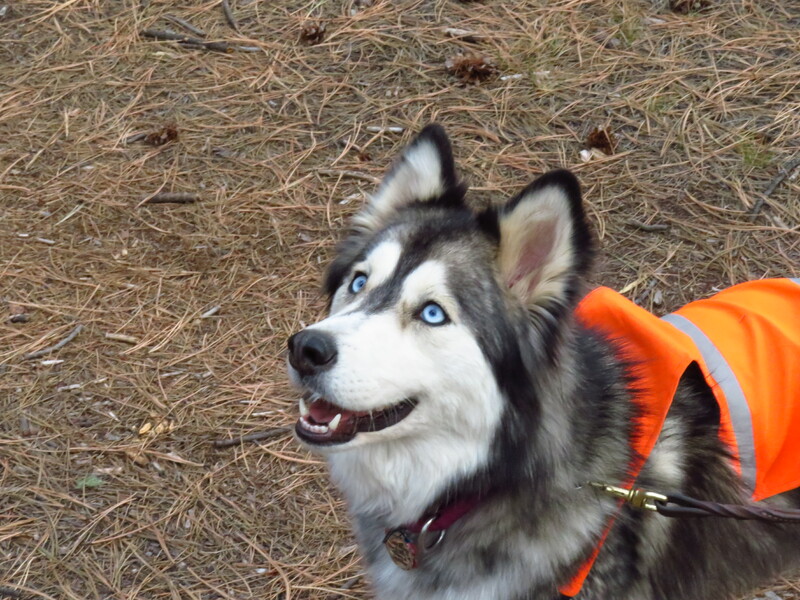 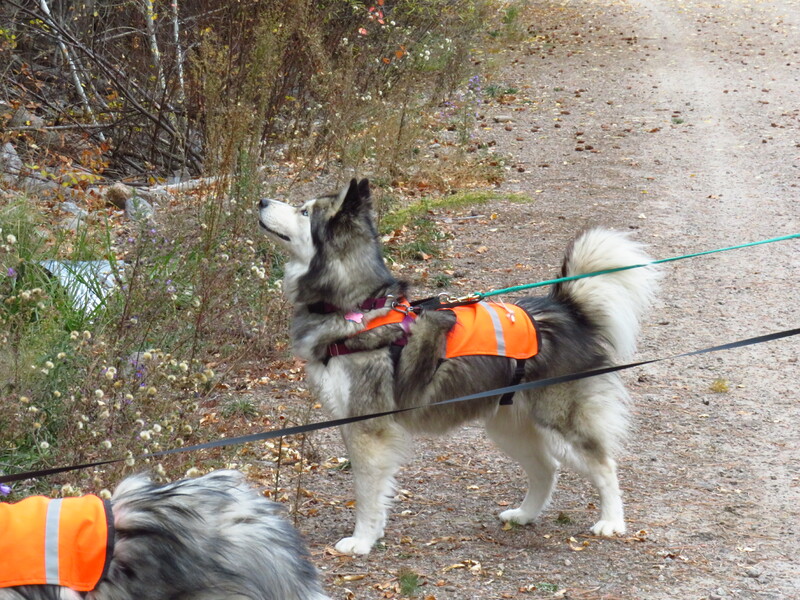 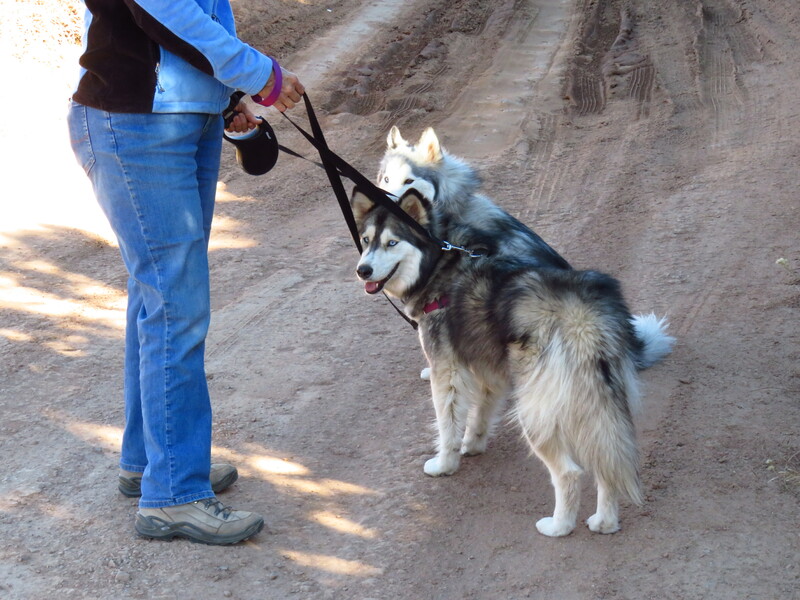 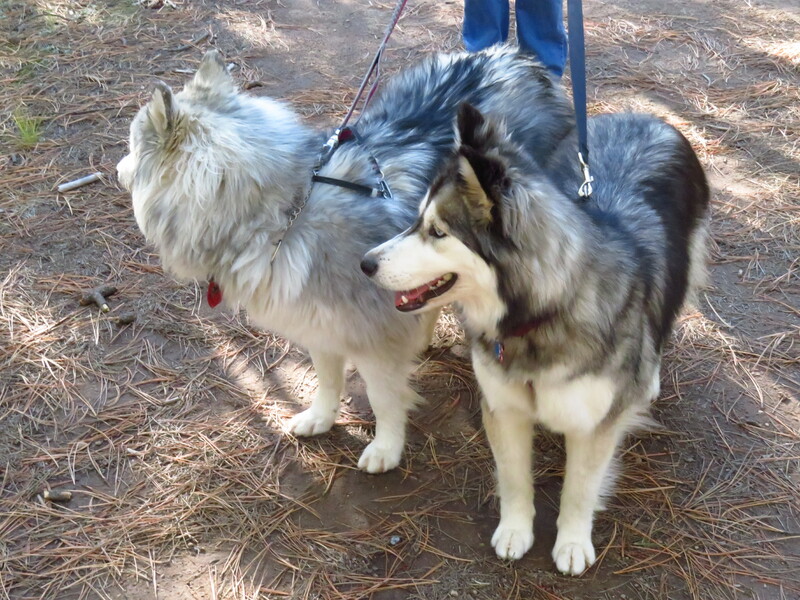 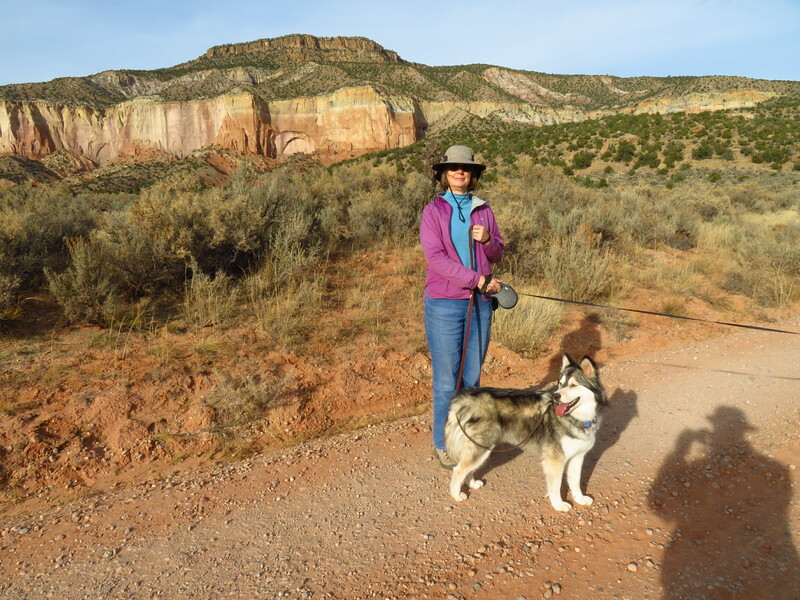 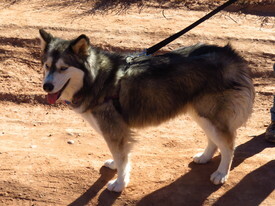 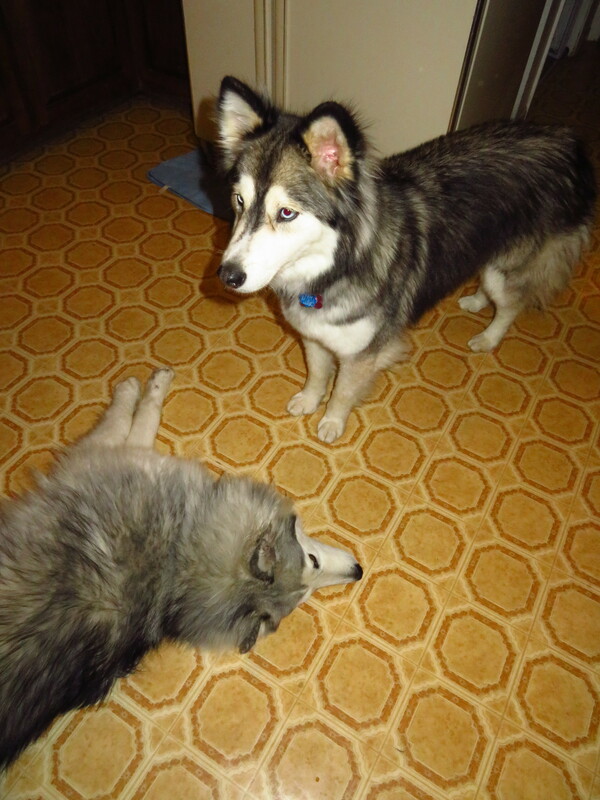 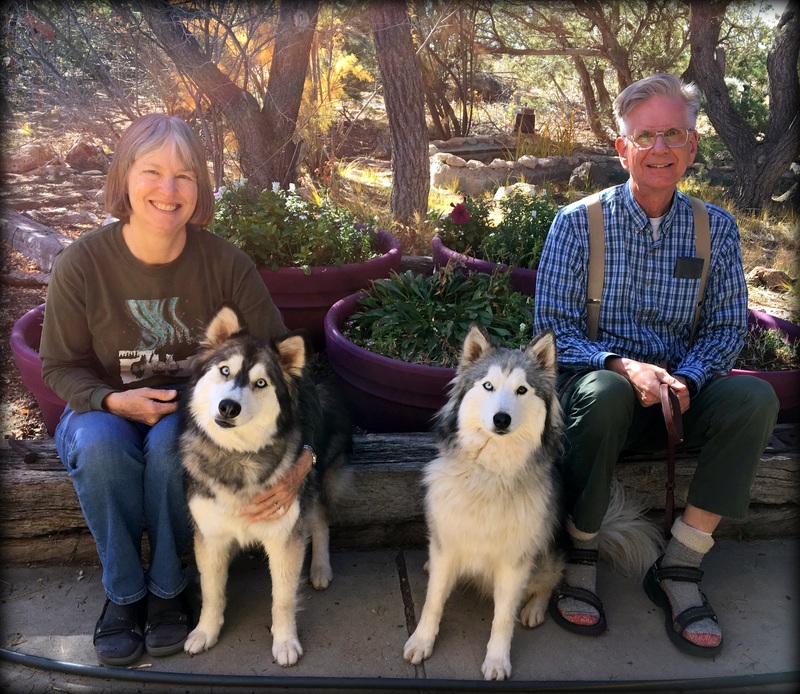 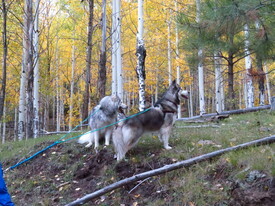 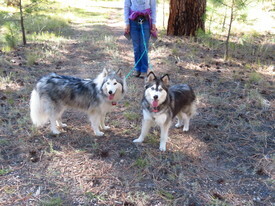 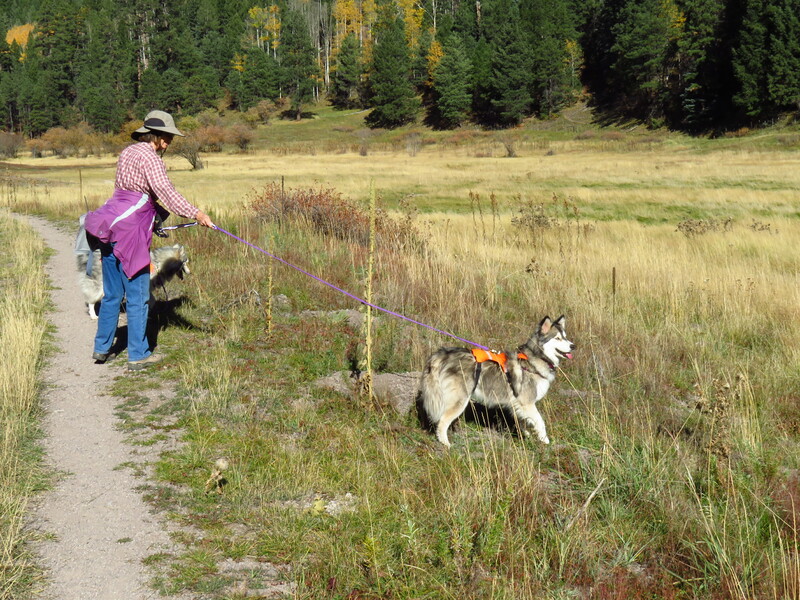 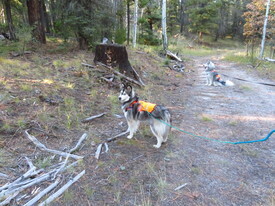 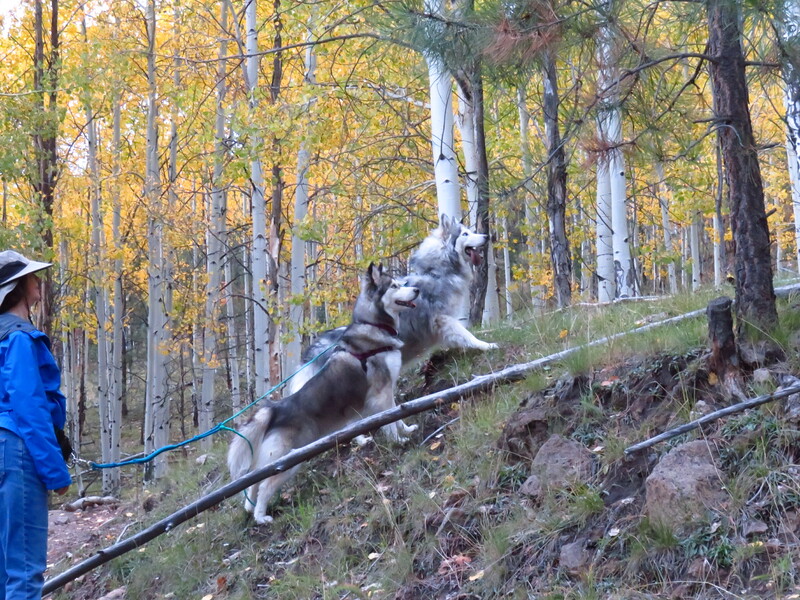 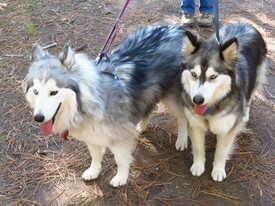 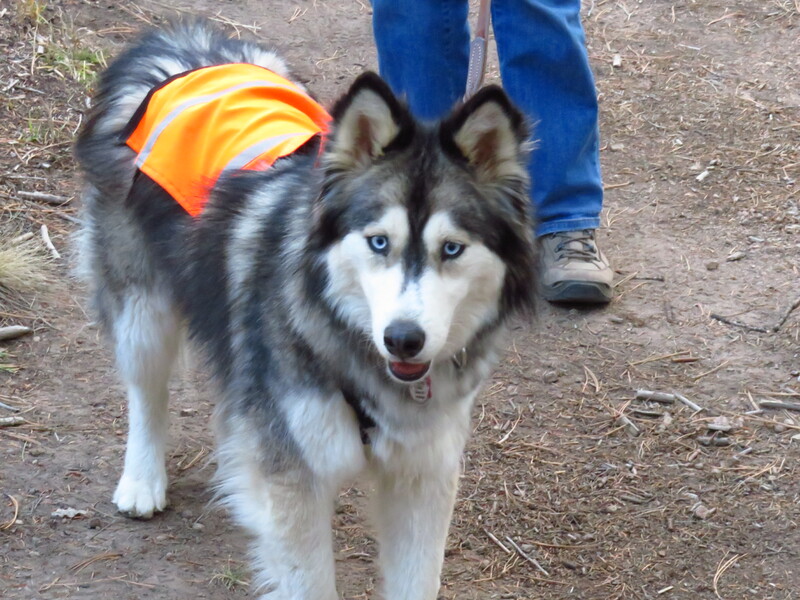 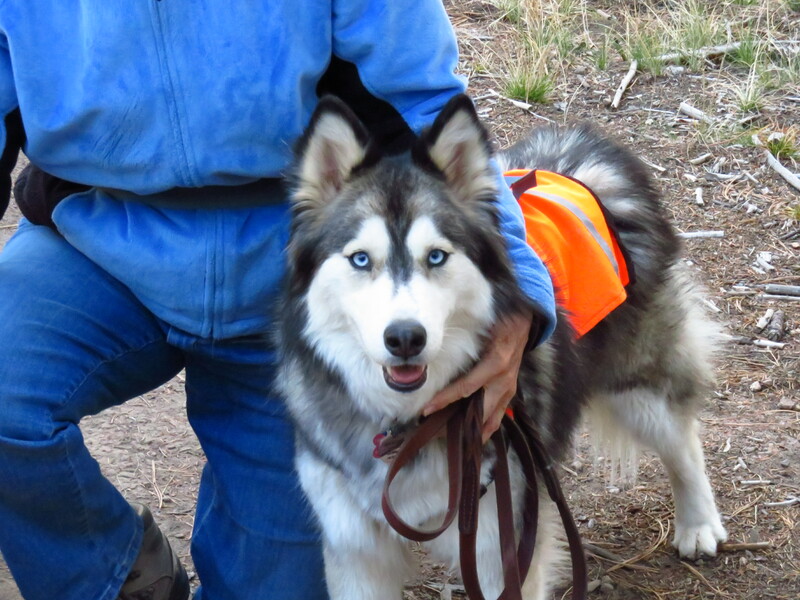 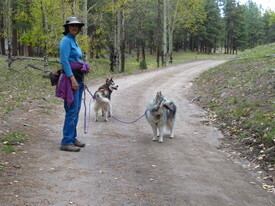 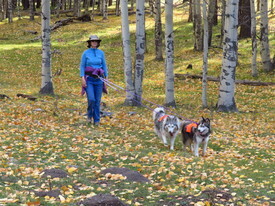 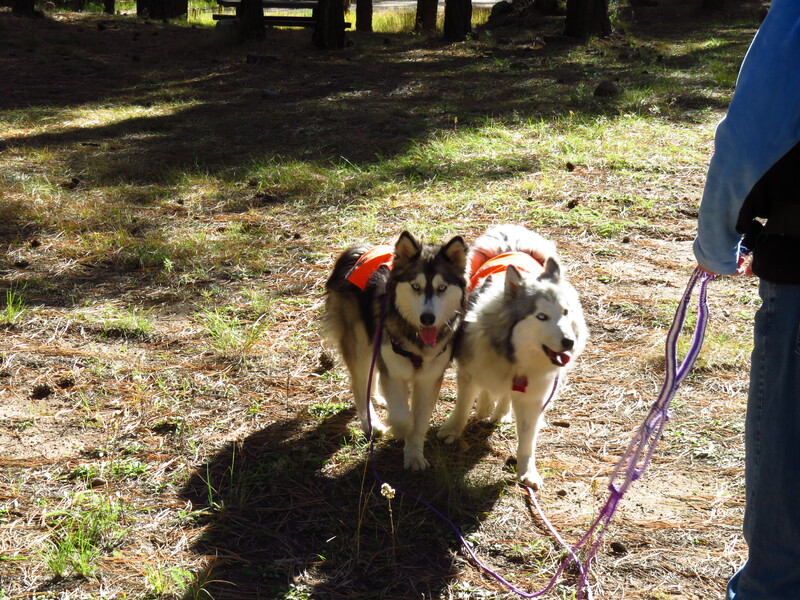 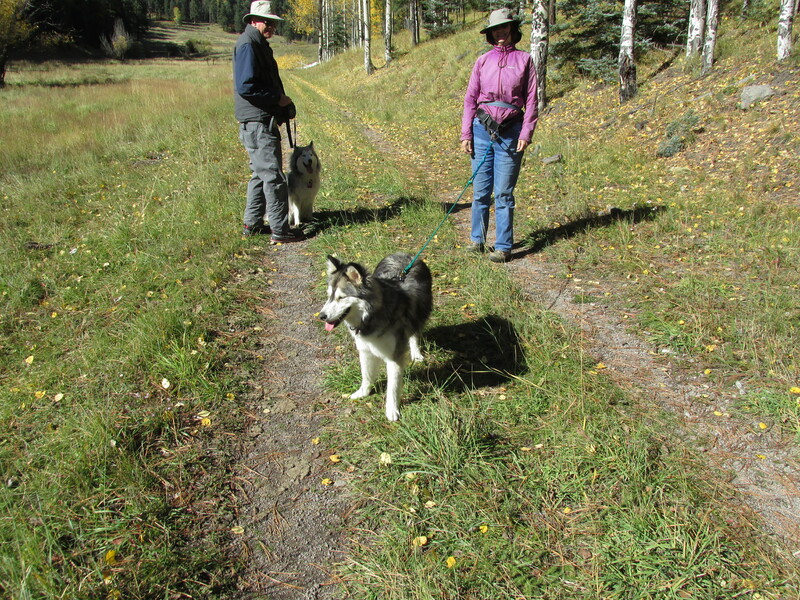 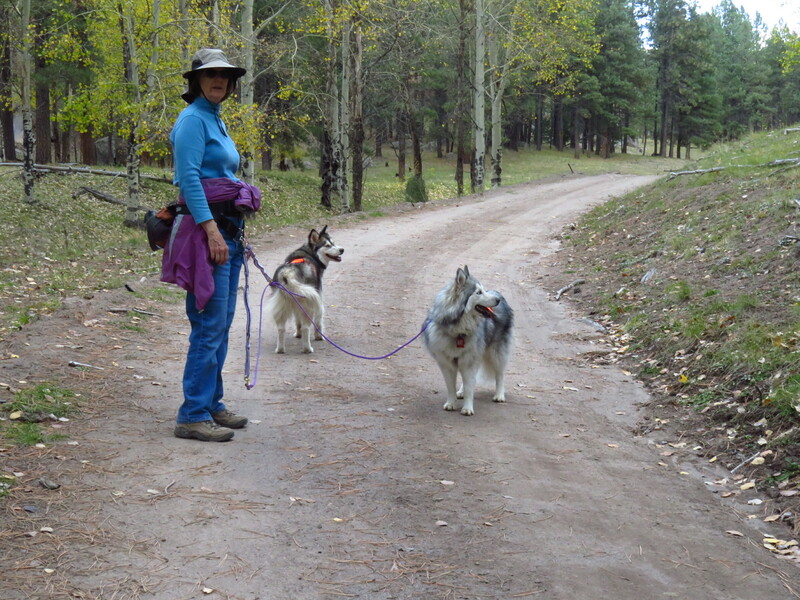 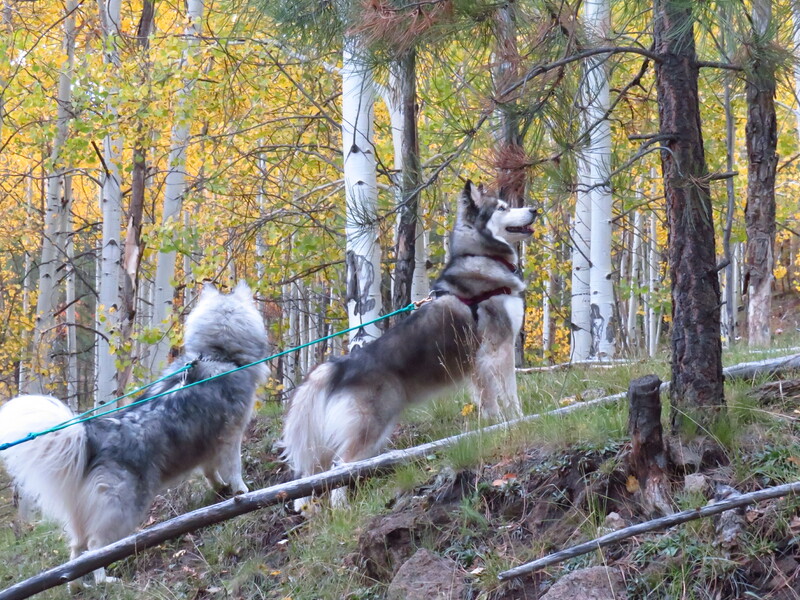 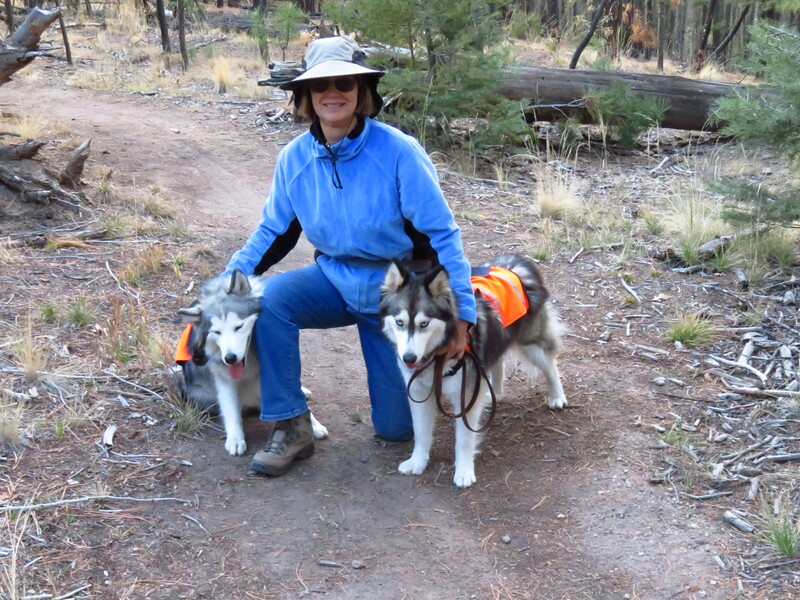 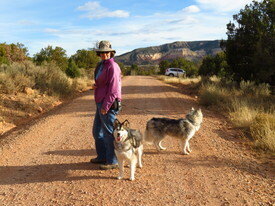 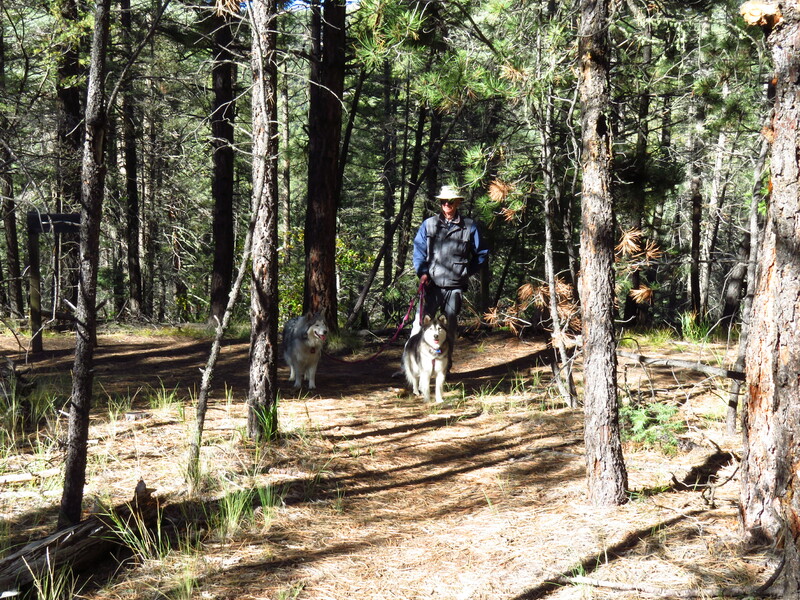 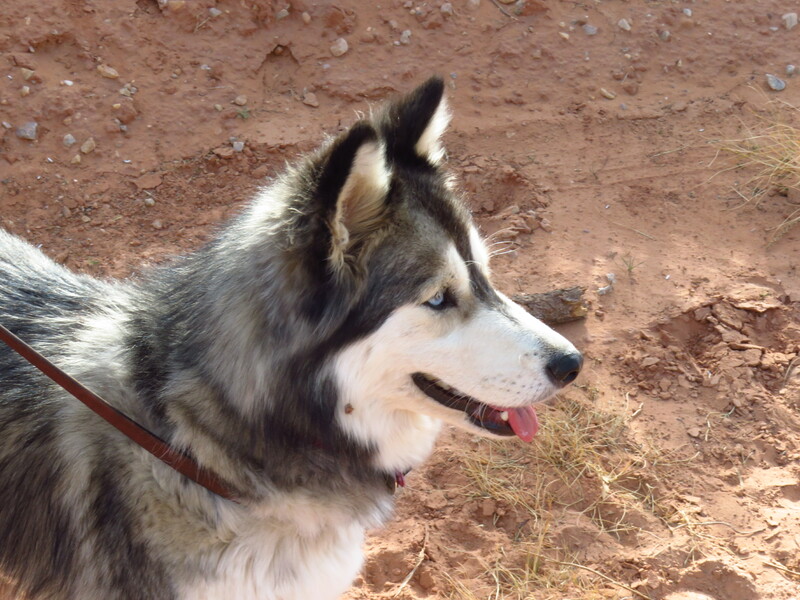 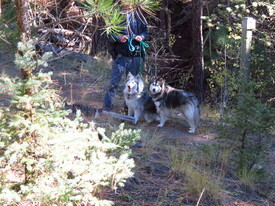 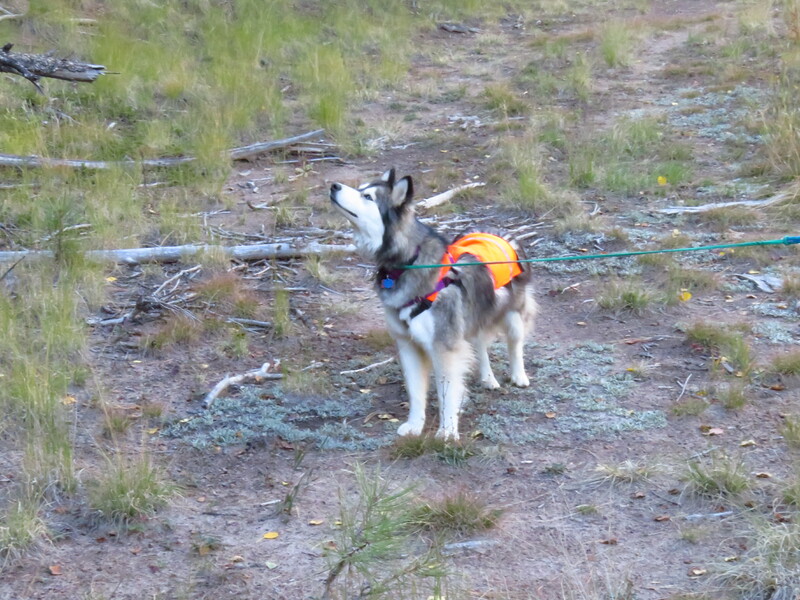 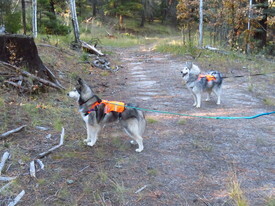 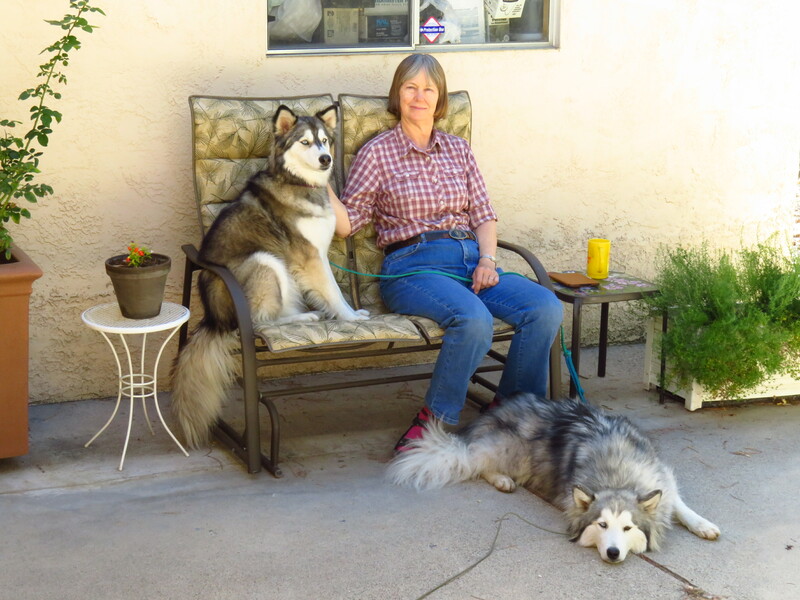 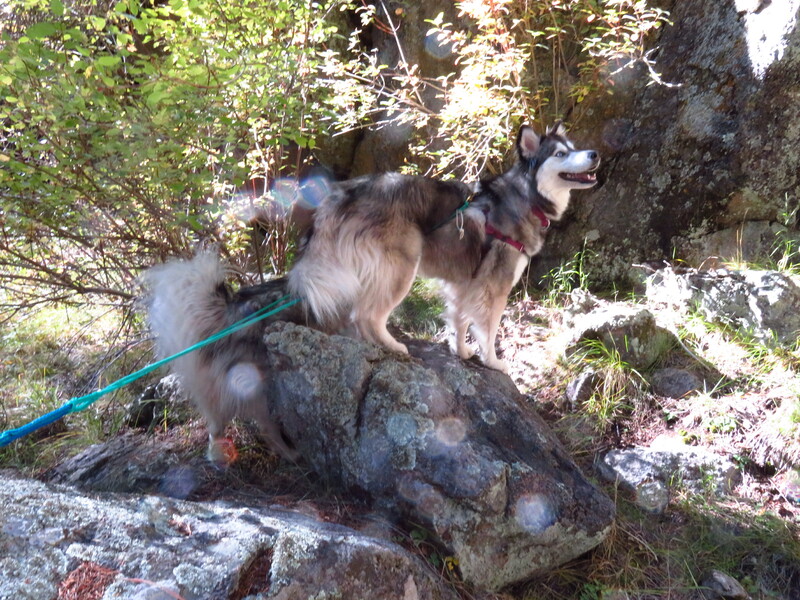 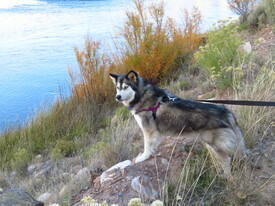 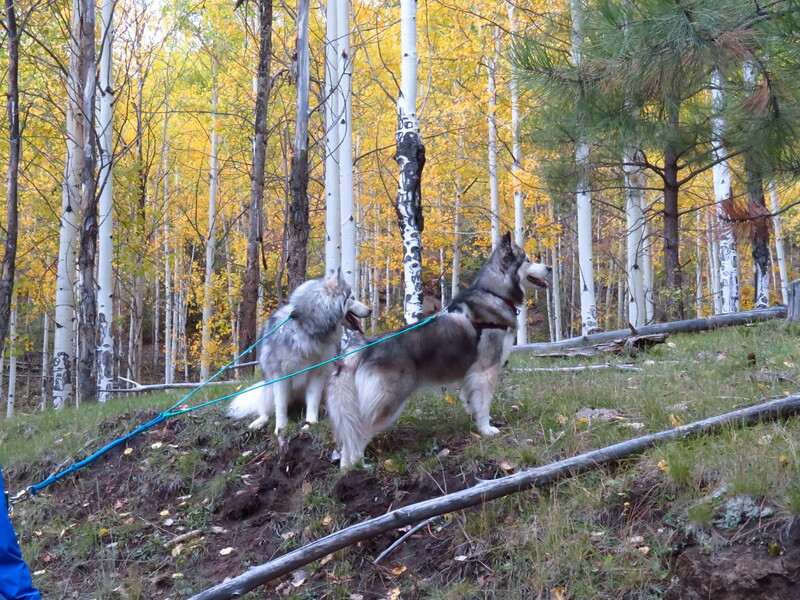 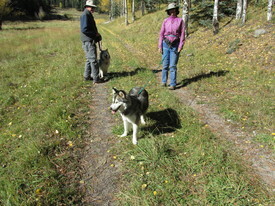 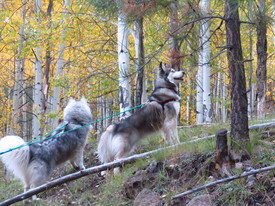 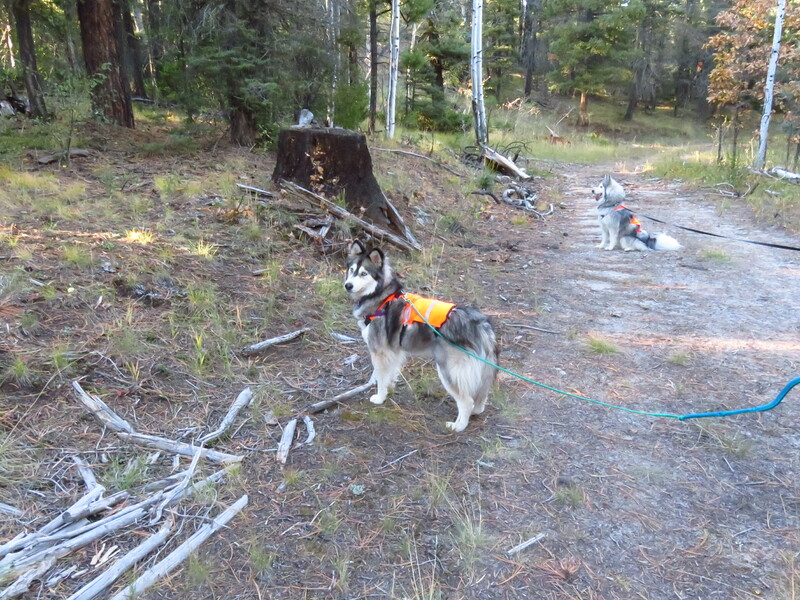 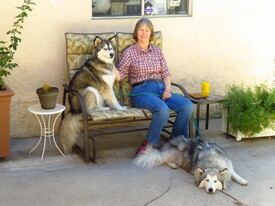 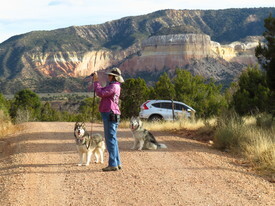 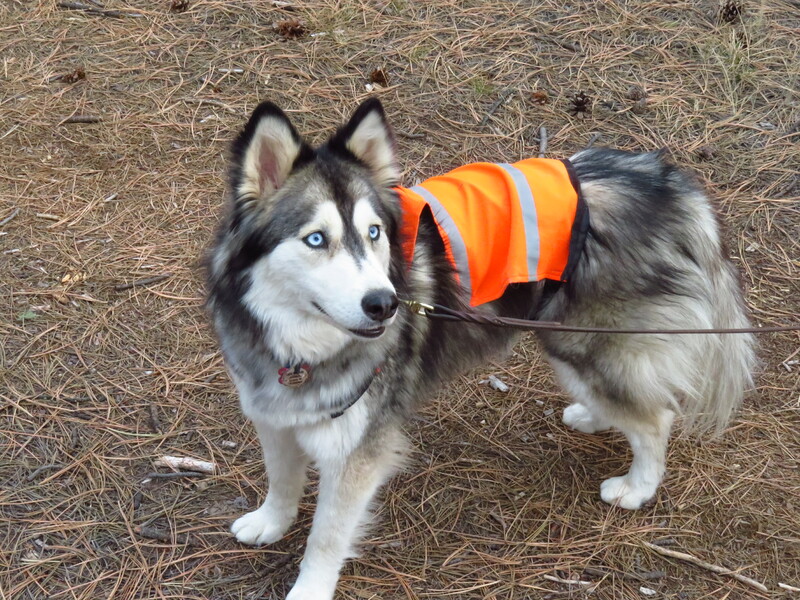 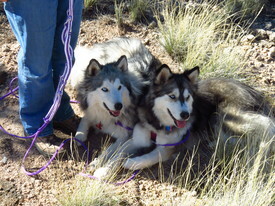 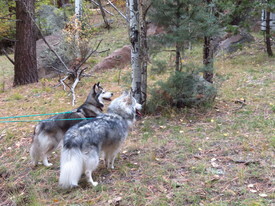 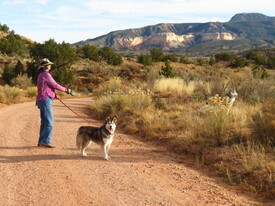 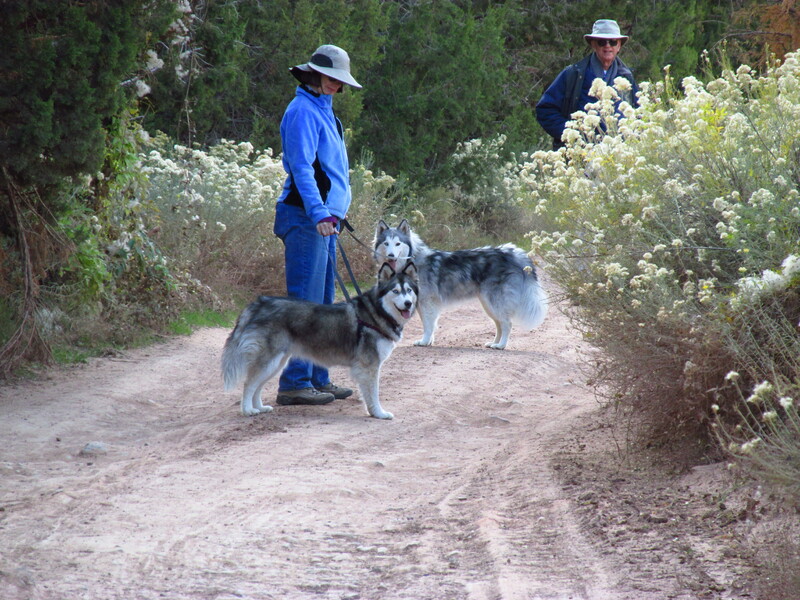 My new family became aware of my situation mid-2017 when they were inquiring at NMDOG about available Wooly Huskies, since Sasha was the only one in their family at the time. 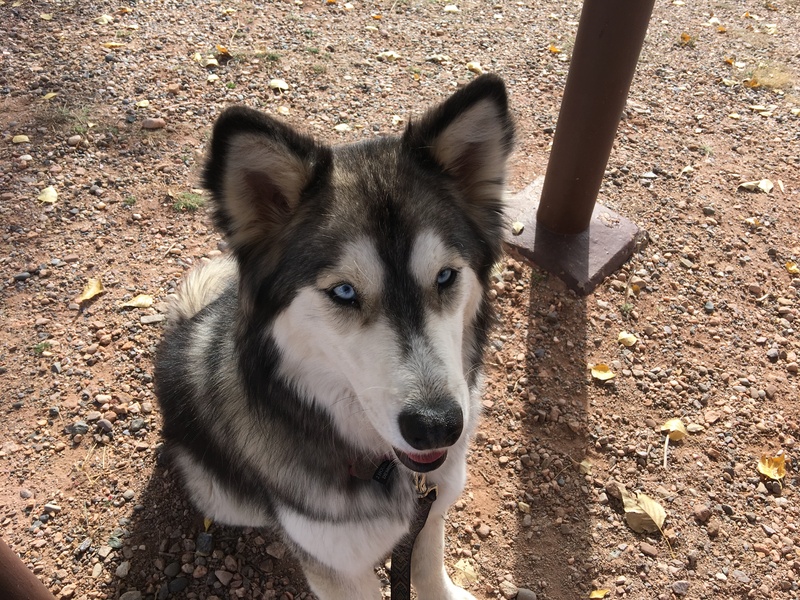 NMDOG is very busy and it took until October 1, 2017 until I could meet my new family and it wasn't until November 11, 2017 before my adoption could be finalized. 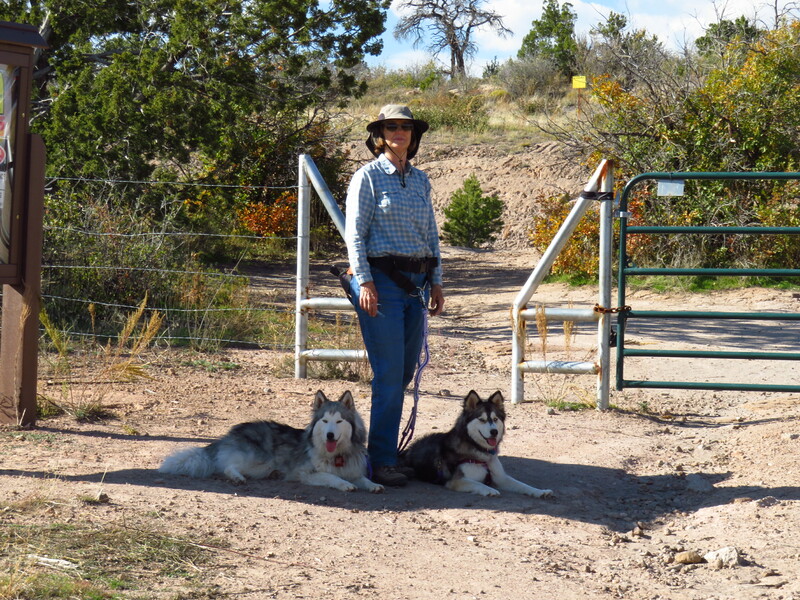 When that finally happened, NMDOG posted the following on their Facebook Page about my life before NMDOG and how I finally was able to meet my new family. It was late one evening when we got the call from another rescue. 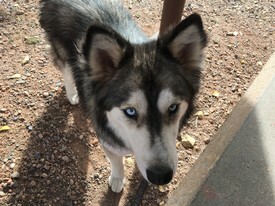 One of their adopters were displaced due to a house fire...thankfully everyone made it out ok and though they were able to accommodate their dog with temporary placement, there was a resident Husky in need of assistance. 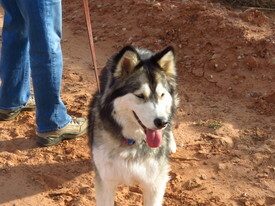 The good people at The Doggie Den generously offered to help us help this girl and her people. 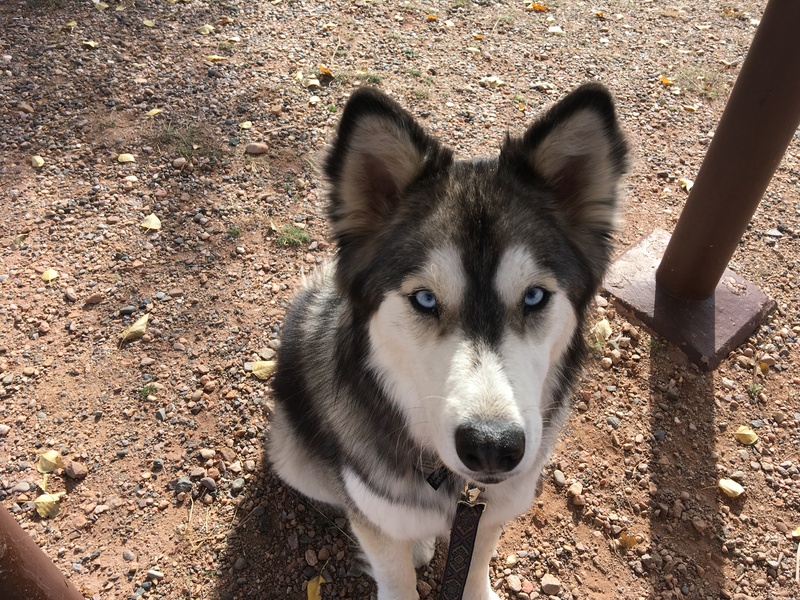 We completed her medical exam, vaccinations, heartworm test, deworming, etc and a full spa day took care of the dirt, matting and fleas she came in with. SUNDAY stayed with us for almost 8 weeks while her humans regrouped then came back for her, so we sent her home with lots of goodies and the promise to be there, should she ever need us for any reason. We checked in with them to see how she was doing and found out that SUNDAY was now chained and being sold on Facebook! 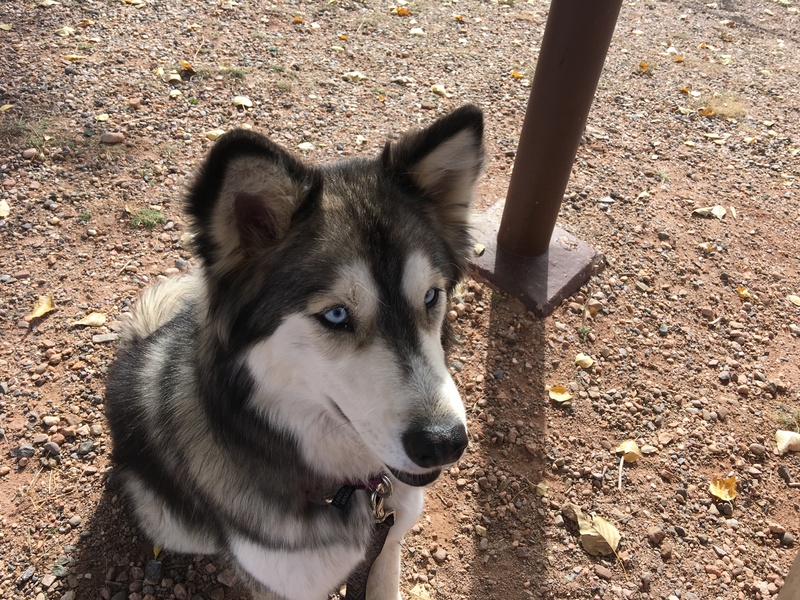 It was decided that she would officially enter the NMDOG program, where she would find a home that Husky dreams are made of! SUNDAY soon caught the eye of an incredible family...one with 40 years of HuskyLoVe and breed experience. 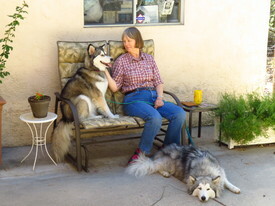 They have shared their home and their hearts with many....but now they had just one lonely Wooly. 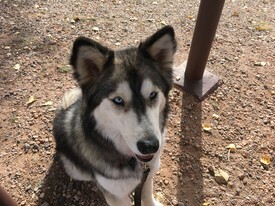 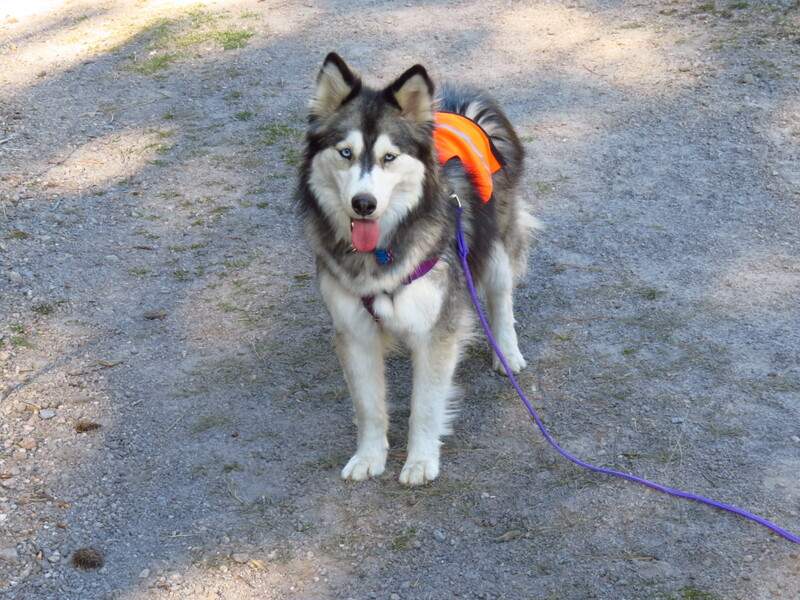 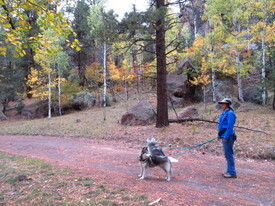 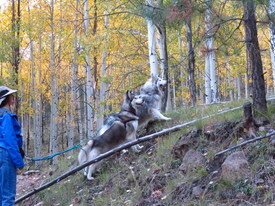 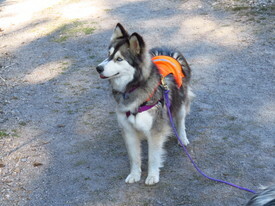 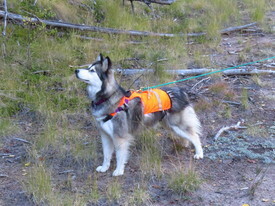 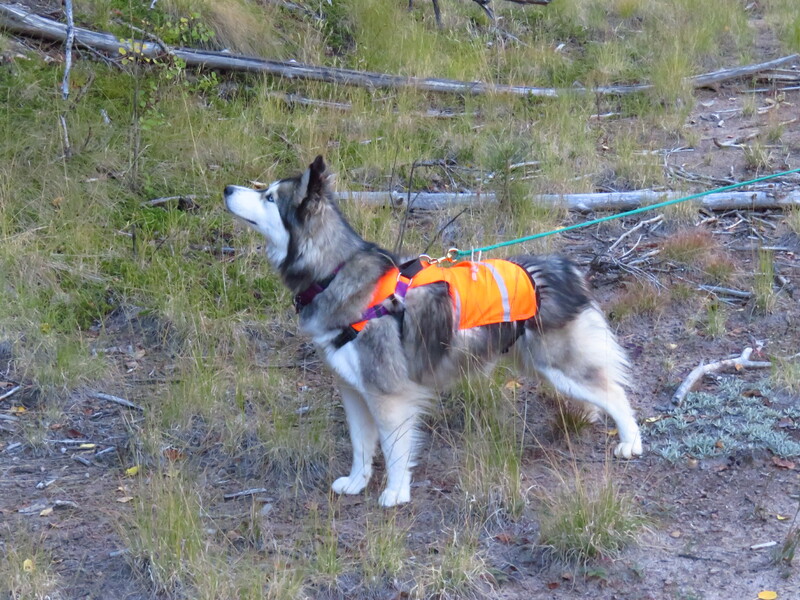 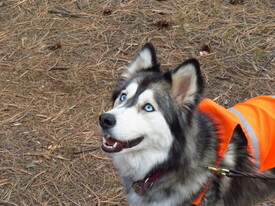 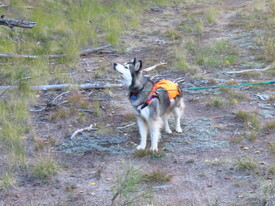 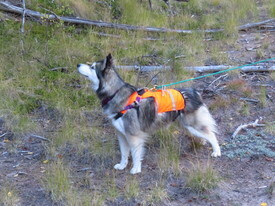 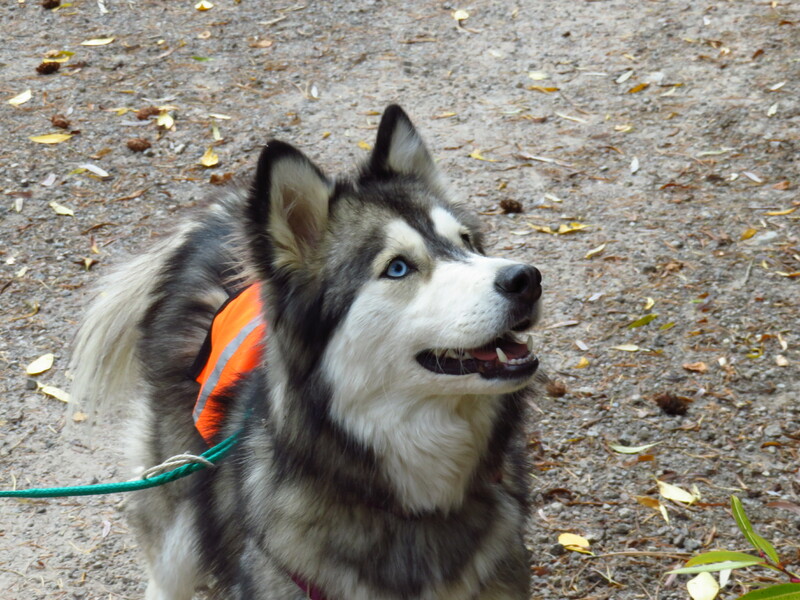 She needed a friend, a Husky sister to romp with...so we packed SUNDAY'S bags and she took the next step of her journey. 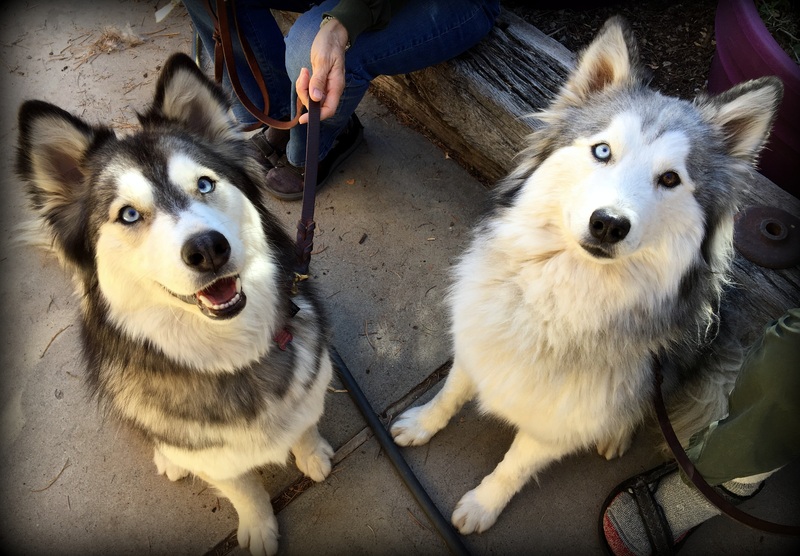 SUNDAY and her sister hit it off from the beginning...they wrestle, play chase, go for walks and sing the song of their people. 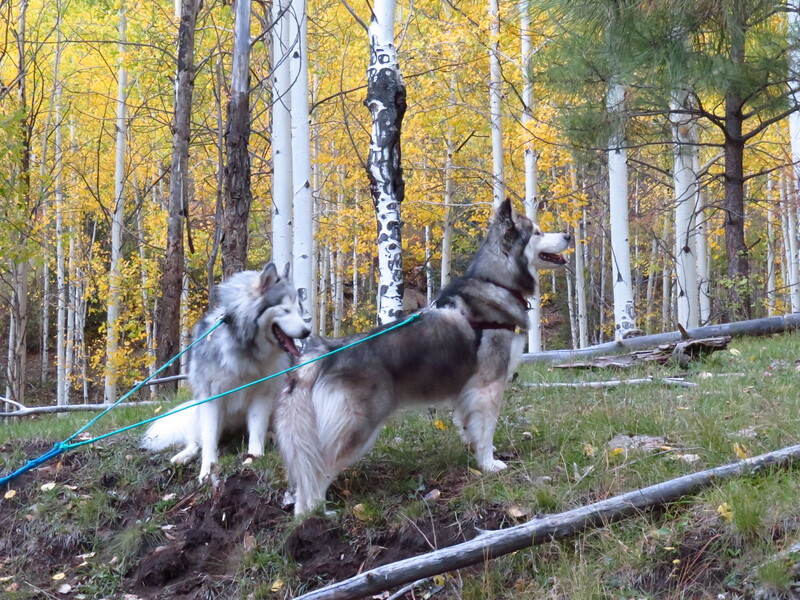 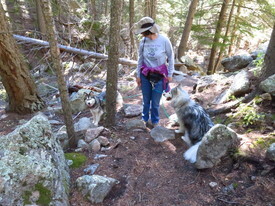 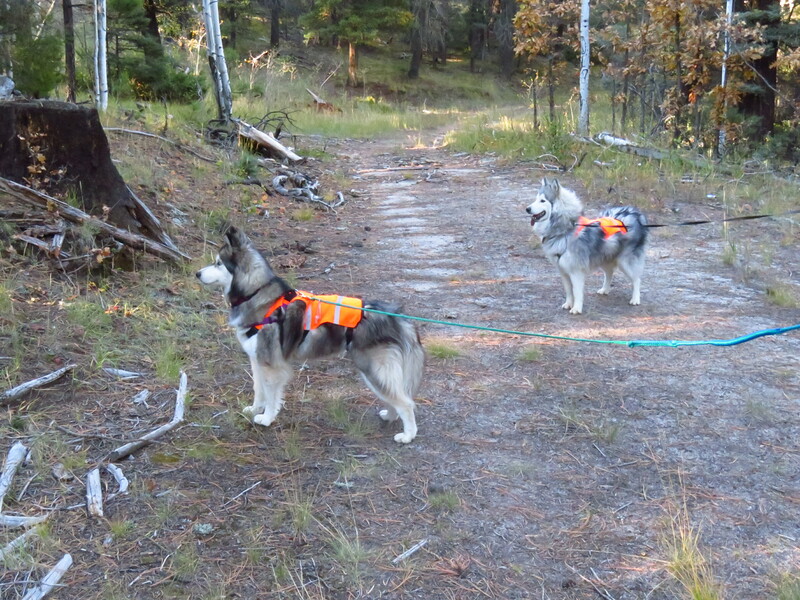 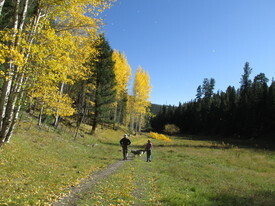 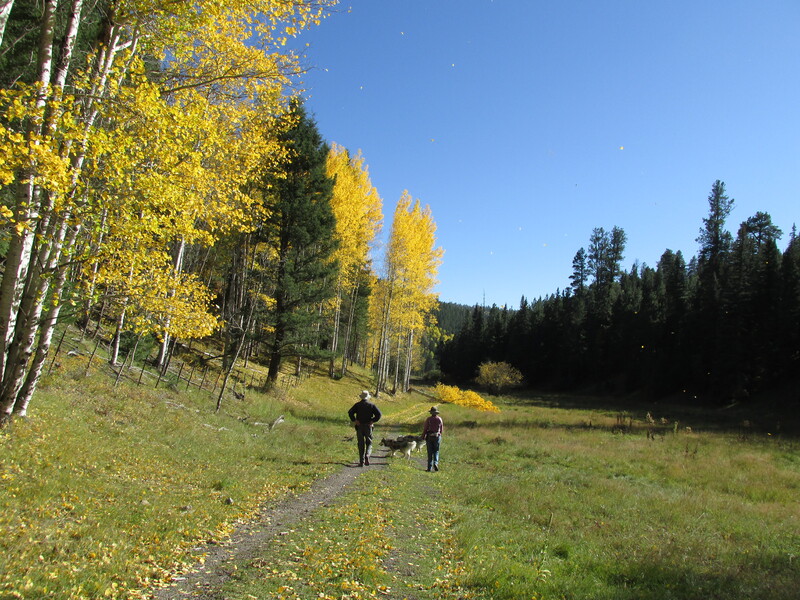 Their parents take the girls out for hikes every morning and in the evenings...they are full of great adventure! 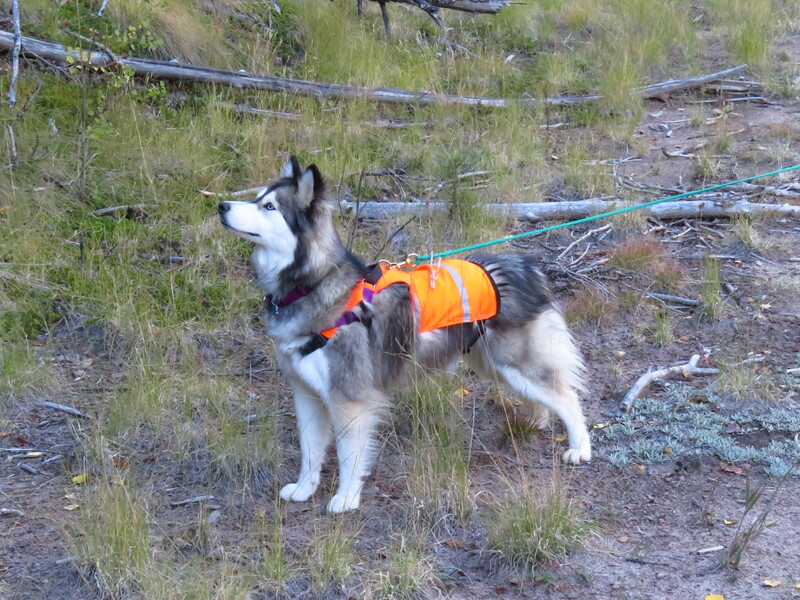 Thank you to everyone that played a part in her rescue. 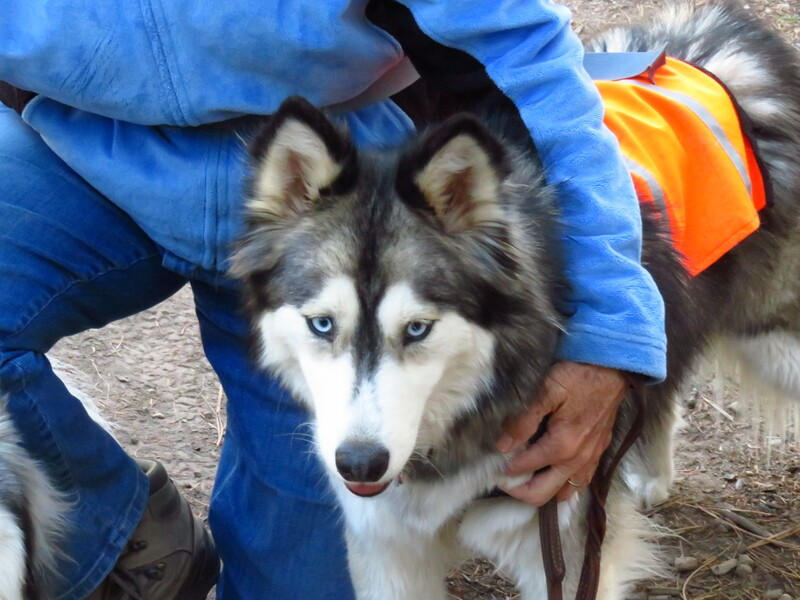 SUNDAY will never be chained or sold again, shes a FoReVeR dog now and we are so incredibly grateful! 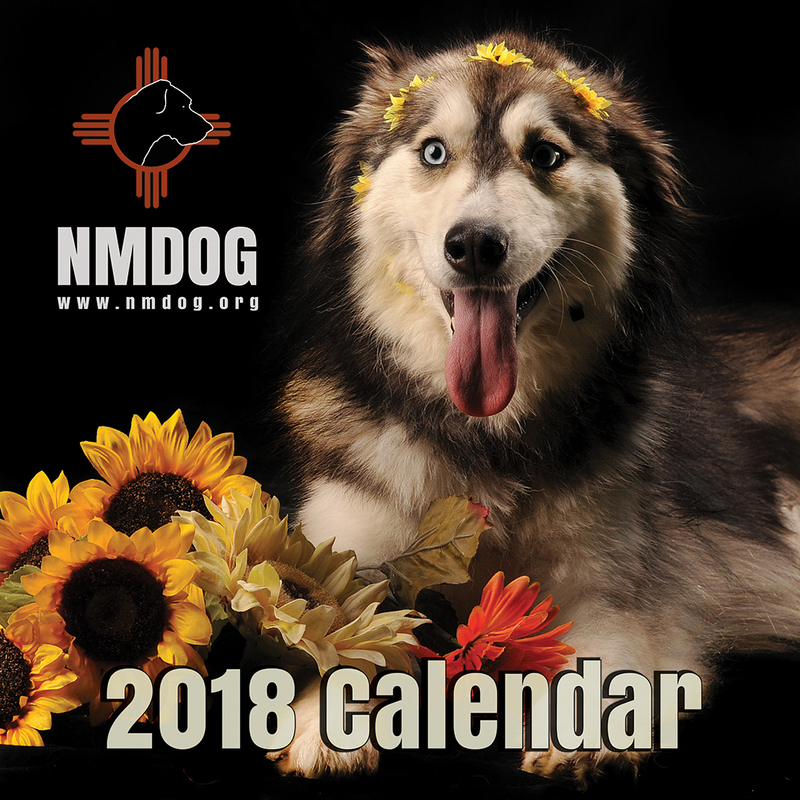 SUNDAY is the beautiful covergirl on our 2018 NMDOG Calendar.